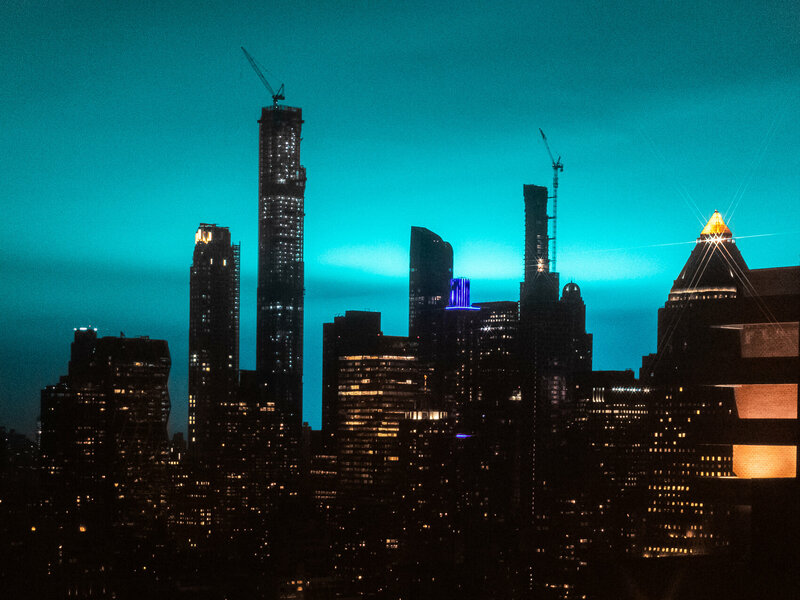 The night sky over New York City turned bright blue Thursday night, the result of a sustained electrical arc flash at an Astoria, Queens, power plant, according to Con Edison. However brief the fire was, its effect was large — the bright blue light was clearly visible across other boroughs in New York City, and as far as New Jersey. Aside from a light show that led to headlines such as “Astoria Borealis,” the biggest effect was felt at LaGuardia Airport, which was forced to temporarily close and use backup power after suffering an outage. In the city that never sleeps, people posted photos and videos of the spectacle as they saw it from rooftops, bridges and ferries. Their explanations ranged from the idea that someone — and perhaps everyone in Astoria — had just been given superpowers.